The Sugar War in the Golden State continues as new data shows warning labels could deter soda consumption. For the third year in a row, a bill that would have put warning labels on sodas and other sugary beverages sold in California will not be considered by the state Legislature this session. Senate Bill 203, the Sugar-Sweetened Beverages Safety Warning Act, this week met the same fate it did in 2015, failing to move out of the Senate Health Committee despite widespread support among voters. The bill—which called for safety warnings to be printed on all sugar-sweetened drinks and vending machines—had picked up public endorsements from heavyweight food and fitness gurus like Michael Pollan, Mark Bittman, and CrossFit founder Greg Glassman. Its sponsor, Senator Bill Monning (Democrat, Carmel), withdrew the bill from consideration by Health Committee members on Wednesday because he was unsure it would have the votes to move to the Senate floor, his spokeswoman told Civil Eats. In a statement, Monning expressed disappointment that a “soda labeling” bill will fail to advance for the third year in a row. To be approved by a Senate committee, a bill must receive yea votes from a majority of its members. In 2015, four of the nine Health Committee members abstained from a vote on SB 203, bringing it one vote short of passing. In 2014, the bill, under a different number, passed the Senate and nearly cleared the House before being stopped by a handful of abstaining Democrats. This round, another advocacy group, 16 Packets, had been targeting the three Democrats on the Health Committee who abstained from voting on the 2015 version of the bill, effectively blocking it. The grassroots group, whose name refers to the amount of sugar in a 20-ounce bottle of soda, has been sending the Senators 16 packets of sugar daily to urge their support of the bill this session. 16 Packets spokesman Yonatan Landau said that despite the stalling of the bill this session, the three Senators will continue to receive weekly sugar packet mailings. He also points to the fact that the lawmakers have received the tens of thousands of dollars worth of campaign contributions each has received from the soft drink industry. “A few legislators have chosen to let this bill quietly be killed by industry lobbying even though it would help keep their constituents healthy and cost nothing,” Landau told Civil Eats. The bill’s most recent demise came the same day the California Center for Public Health Advocacy released the results of a field poll on the issue showing widespread support for SB 203. The group found that nearly four out of five registered California voters support a warning label on sugary beverages, and that support was highest among the state’s Latino (85 percent) and African-American (82 percent) populations—communities traditionally hit hardest by diabetes and obesity. Additional research released today by the Robert Wood Johnson Foundation suggests that warning labels may actually dissuade many parents from buying sweet drinks for their kids. In an online survey of 2,381 parents, only 40 percent of parents said they would choose a sugar-sweetened beverage for their kids after viewing a warning label, compared to 60 percent of participating parents who saw no label. The Golden State has become something of a battleground between nutrition activists and food companies over sugary beverages in recent years. In November of 2014, voters in Berkeley by a three to one margin approved a measure that charges retailers a penny per ounce of every sugary drink sold, a tax intended to discourage the sale and purchase of sodas and other beverages. Last June, San Francisco lawmakers approved a ban on advertisements of sugary beverages on city land, as well as this label on all sugar-sweetened beverages sold in the city: “WARNING: Drinking beverages with added sugar(s) contributes to obesity, diabetes, and tooth decay. This is a message from the City and County of San Francisco.” The American Beverage promptly sued the city over the measure, saying it infringed upon soda companies’ First Amendment rights. 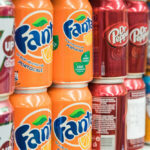 Advocates view efforts in California to curb the consumption of sugary drinks as a public health effort analogous to the anti-smoking campaigns of the 1980s and 1990s, when steep taxes were levied against cigarette purchases and dire warning labels were placed on every box. 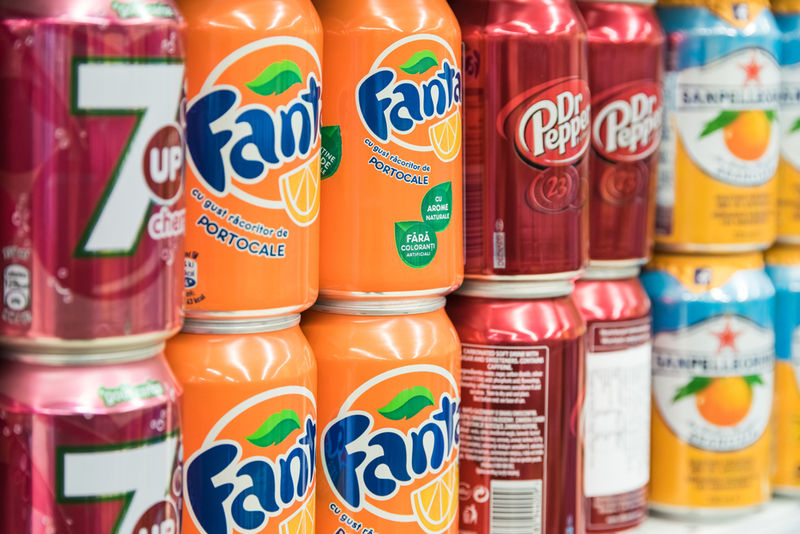 “The big question here is whether or not sugar drinks are going to slide over into the same position as tobacco, which is why it’s so hotly contested,” said Kim Kessler, policy and special programs director at UCLA’s Resnick Program for Food Law and Policy. Kessler said she views a warning label as a step forward in efforts to warn Californians of the health risks associated with drinking sugar-sweetened beverages. Photo by Radu Bercan / Shutterstock.com. Would have appreciated it if you had named the abstaining Senators. Why not? We linked to them several times in the piece -- for folks interested in that level of detail.